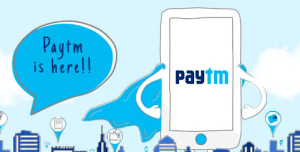 Paytm is the India’s biggest online recharge company providing many cashback offers on Mobile Recharges(Prepaid & postpaid) ,Utility Bill payments, cashbacks on Bus Ticket bookings, as well as provide hot deals at its store. Hey guys, I’m not able to use Free20 more than 3 times on one mobile. Can somebody please help? Hi Ramkishan! We have already updated that, [Expired] is mentioned infront of coupons. multiple account use nehi ho sakta paytm website per??? ab paytm per konsa adding offer live hai admin? FREE Adding offer like 25 when working again? Pls admin when FREE25 will start working again then .u pls email me so that I can vote up this website and I can prefer it as a best one. You can join our whatsapp broadcast channel , whenever free25 with be live we will notify u.
Ok but pls tell me fast. This page is the best one that I have ever surfed .. .
Hello admin none of these codes FREE10 , FREE20 ,FREE25 r working they r saying sorry this offer has expired … . . . . . .so y didn’t u post in ur website . . ??????? Hmnnn…. .. but do u have any inform when it will start working again. …. Yar sobb sant rahi I got the information that paytm is going to bring biggest damakha ever for new users . .. .. . . For new users . . .. .Just at the midnight of the new year but offer will be for only that day. . . .. Very very. . 😀 .. . .
Add money offer in wallet. Paytm is a awesome aap.